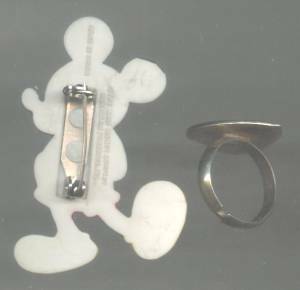 A cute little Mickey pin and a Mickey & Minnie in love ring. The pin is in very good condition, paint appears to be all there. The little heart ring has Mickey&Mini inLove in cloisonne enamel. The pin measures aprox. 1 3/4"X1 1/2". The shipping fees quoted are for first class/No insurance in USA. 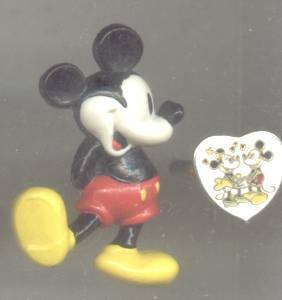 Items Similar To "Disney/Plastic Mickey Mouse Pin & Minnie Mouse & Mickey Mouse In ..."